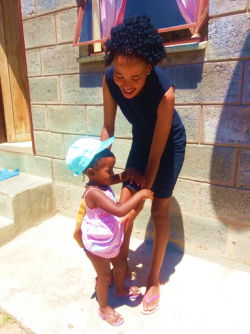 Moratuoa is a 23-year-old single mother from a small village in rural Lesotho. She lives in a one room house with a sky blue curtain that divides the kitchen and bedroom. She shares the bedroom with her 2-year-old daughter, Nneuoe. 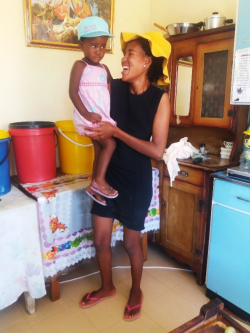 Moratuoa became a mother in 2016 just after completing high school. The baby’s father decided to marry another woman from a nearby village. When Nneuoe was only a few weeks old, Moratuoa lost her own mother. Dealing with her new baby alone while grieving the loss of her mother was difficult. With no one else to turn to, Moratuoa was forced to beg her brother – who was working in South Africa – to help her survive. This all changed when Moratuoa received a ‘Starter Pack’ through Help Lesotho’s Young Mother Program. once the construction was complete, her customers disappeared. Rather than give up on her business, Maratuoa reconsidered her options and chose to start cooking and selling full meals. Soon she had a solid customer base and was earning about $20 a day. Moratuoa’s success in business pushed her to seek out more opportunities to support her daughter. In 2017 she joined a program at Help Lesotho’s Leadership Centre to learn how to sew so she could make and sell school uniforms and household items. She used a friend’s manual sewing machine which made for slow work, but she stayed up late so she could keep up with demand. In 2018 Moratuoa took yet another step towards a brighter future. She was selected to participate in Help Lesotho’s Computer and Life Skills Program where she learned basic computer functions and programs in addition to life skills such as communication and decision making. She feels these skills will further her employment opportunities going forward. Participants in the Computer and Life Skills program also learn about HIV/AIDS (as is the case with all Help Lesotho programs), and this information profoundly changed the way Moratuoa understands the disease that has ravaged her country. 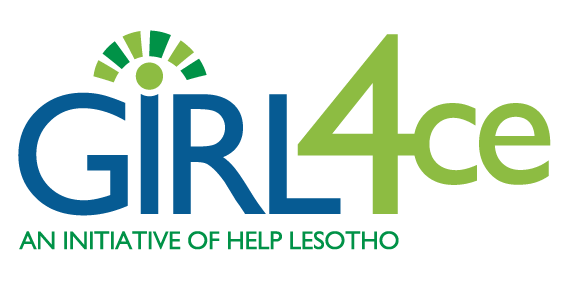 “Before the life skills training I received from help Lesotho programs my friends and I used to often laugh at HIV positive individuals because we considered it to be a curse for being adulterous. I have totally changed and I understand means of transmission and preventative measures. I no longer discriminate people with HIV/AIDS and I am not ashamed to talk to people in my community mostly my peers about HIV/AIDS especially about its transmission, taking care of themselves and how it is only a medical condition that can be managed like any other illness’’.